The Career Planning and Development Center is excited to provide an opportunity for Webster students to interact with local organizations who have volunteer roles available. Service-based experiential learning is an opportunity for students to hone workplace professional skills while making a direct impact in the St. Louis region. At this event, 15 local organizations will have information available to students for a wide selection of volunteer activities throughout 2019. Volunteer service, regardless if it is ongoing or short-term, is a form of experience that can be referenced in application materials for future employment. 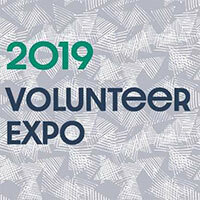 Please stop by and encourage your students to attend the 2019 Volunteer Expo to explore high-impact opportunities in our communities. Alzheimer's Association Greater Missouri Chapter, Big Brothers Big Sisters of Eastern Missouri, Community Living, Inc. , Gateway Region YMCA, Girls on the Run St. Louis, Junior Achievement of Greater St. Louis, Kingdom House, Nine Network of Public Media, Ready Readers, Saint Louis Zoo, Science Center, Seasons Hospice and Palliative Care, UCP Heartland, United Cerebral Palsy Heartland.